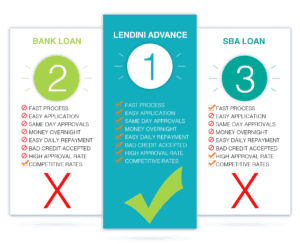 Uncategorized | Lendini – Business Financing So Easy Its Magic! ARE ONLINE BASED FUNDING COMPANIES SAFE? With the constant news of email scams, misleading ads, cyber crime, and identity theft it is reasonable to have anxieties regarding the safety of any internet activity. To the point that some proprietors avoid online lending because they worry about the security of these web-based funding companies. The leaders of web-based financing surge focus the protection of their customer’s information. As with any other business decision, it is only sound to do some due diligence before choosing a lender online. As an owner, how can you make certain that your online lender provides the security and funding they promote? Before you apply online for business funding, you should research your potential lenders. Here are some basic tips to help you decide. A platform lender might operate online, but a reliable funding company will present a physical address in a noticeable area on their site. For example, you can visit the Lendini contact page to learn that we have an office in both Jersey City, NJ and Langhorne, PA. It is easy enough to confirm this location with a Google search. You can compare the website and other references for third-party confirmation. You might review the BBB for a listing and evaluation. Some online certification organizations, like GoDaddy, GeoTrust, or TrustE review sites and award seals if the company meets security and privacy criteria. The truth is that you cannot use reviews solely to make your evaluation of an online company. Customers are more inclined to write a grievance when they are unsatisfied and more times than not move on when the company has met their expectations. Fake reviews are also a problem either by competitors or advocates of a particular company. You can still view comments and remarks by others to guide your additional examination into the business. Checking the WHOIS registry will tell you who the owner of the website is and how long it has been active. WHOIS will give you insight into the real essence of the company that runs the website and if they are a business funding company. One of the major menaces to online privacy comes from aggressive lead generators. Regularly, lead generators sites misrepresent themselves as funders; however, the real purpose is to collect data to sell to any number of funders or brokers around the country. To securely and confidentially obtain the funding you need, you should presumably deal with an actual funder. Genuine online funders know that their company’s future relies on their reputation for keeping their client’s data safe and secure. Lendini has taken steps to protect our business and that of our partners, clients, and applicants. If you do your research and choose a secure funding company, you are likely to be satisfied with your choice to obtain capital from an online funder. A merchant cash advance (MCA) isn’t for all businesses, but it’s an excellent option for some companies. Read on to learn if a MCA or Business Cash Advance (BCA) right for your business and how to choose a funder. If your company is looking for financing options for your business operations, you have many options. Traditional banks, SBA loans, equipment loans, crowd funding, invoice factoring, hard money lenders and much more. But arguably most underutilized, vehicles of financing is a business cash advance (BCA), also identified as a merchant cash advance (MCA). But with so many different funders with various rates and terms, how do you know which is the right one? We can assist you with understanding the process. A merchant cash advance provides business owners an advance of the monthly sales revenue regularly moving through the business account. A business cash advance (BCA) is not a loan, but rather an advance based upon the future revenues or credit card sales of a business. In a typical situation, a contract between the lender and the business on specific terms like the advance amount, rate, holdback percentage, term, and total payback amount. Once these terms have been agreed to, the funds are transferred immediately into the companies business account, with the agreement that, the business promises to pay a percentage of future receivables. The total payback is based on either a holdback percentage of the daily processing batches or a portion of the available daily balance in the businesses account. BCA funders judge risk swiftly by using a different set of underwriting guidelines than a traditional bank has to go through. Merchant cash advance funders are interested in the history of daily receivables and credit card receipts, previous payment history and whether the business can pay back the advance promptly. Instead of using credit and collateral as primary decision points. Now, that you have the basics of a merchant cash advance and how it works. Let’s look at some of the benefits connected with them. Business cash advances are frequently inquired for their high approval rates. Whether you have bad credit or are in a high-risk industry, it’s not going to prevent you from getting a BCA. Your credit score could be 500 and, as long as your receivables align, and your statements are good you could still get an advance. There’s no collateral associated with a MCA advance. It’s a sales transaction, and nothing is reported to the credit companies. The funder is the one taking all of the risks. Traditional lenders have restrictions on how you can use the funds they lend, with a MCA you can use the funds any way you want. Whether it’s marketing, expansion, advertising, buying equipment, paying workers, purchasing real estate, leases, or anything in between. It’s yours to spend how you please. The easy payback process is the most attractive attribute for a MCA. Since the advance is revenue-based, you only have to pay back the advance in small portions either with your nightly credit card batches or small daily increments in relation to the volume of sales total. Since MCA funders are essentially giving you money in return for future sales, the rates are higher than traditional lenders. There is no collateral required, but they want the risk needs to be meriting. As a result, there are higher rates and fees. The rates can vary depending on a few factors, so do your research. Industry knowledge can be a big factor in being satisfied with your advance. Make sure the lender you’re considering has worked with other businesses in your industry– or with comparable revenue models. Ask for reviews and search reputation. MCA providers may have a well-designed website and enticing content, but does the company live up to its claims? Communication is key, and you’ll be speaking with your lender a lot during your repayment process, which will be an easier experience if you are comfortable with your lender. Research online and browse funder reviews. Ask around if you know business owners who have used MCA’s before for their own companies. Customer service is worth its weight in gold and can create an easy and manageable funding experience. It’s crucial that you read the entire contract carefully consider all terms before endorsing any contract with a funder. MCA providers are technically not actual lenders, so merchants have little aid from government regulatory commissions should the relationship go astray. Be sure to review the entire contract for legal protection. Think about whether an individual lender seems right for your business. Is there a genuine interest in your business, or does it feel like you are just another client? Our purpose at Lendini is to release the potential of each small business by equipping them with appropriate and timely access to working capital. We use information, technology, and personal expertise to maximize the potential in every business we fund. As a business owner, you presumably find yourself operating upwards of 60 hours a week. Managing a natural work-life balance might look complicated. However, there are several devices to help reduce your workload and alleviate the pressures that come with building a prosperous business. Technology is just one of the means at your disposal. Our society is increasingly more mobile-friendly, and it is necessary as a small business proprietor to adapt and use it to your benefit. Using online tools and applications will not only save you time but, since your clients are online, it is a way to penetrate into the discussion. Using online services like Outlook or Google Calendar are great ways to use technology to your benefit. Online calendars offer alerts and prompt, allow you to plan meetings with colleagues, and make refreshing your agenda fast and easy. The traditional post-its can be replaced with online post-its that you can just delete. While having an organized online calendar is one great time-saving method, utilizing spreadsheets and the cloud for filing is another. Retaining your original documents is unquestionably necessary, and those documents can easily be converted into digital records and kept permanently on your desktop, hard drive, or in an online cloud storage service. Accounting, payroll, and payments can be preserved orderly in Microsoft Excel, giving you with extra time to concentrate on other critical assignments. There are numerous online apps and programs ready to make your marketing campaigns more effective. Frequently when you have developed a comprehensive marketing campaign, it can become challenging to control all at once. Once you start using online apps, you will not need to remind yourself to update your social media content if you use the tools that can do that for you. Applications like HootSuite and Buffer enable you to plan posts in advance, giving you with extra time to work on new projects. Your customers are all online so becoming comfortable working online is becoming more and more a priority for many small business owners. Maintaining a website, blog and social media page is necessary but, engagement is essential. Actively engaging with customers by posting content, replying to comments, retweeting posts, and liking things show your clients that you are accessible to respond to their inquiries and you appreciate their views. As a business owner, you presumably now have support from your neighborhood community. Now, by also establishing a community online, you can continue advancing your company. It is stressful at times being a small business owner. You can sometimes be overwhelmed when your list of daily duties keeps expanding. You should check out these online tools for yourself and see if they work for you because something as accessible as an online calendar or cloud storage can help you save precious time that could be entirely spent concentrating on other assignments or even relaxing. On the Brink of Collapse? Managing your own business can be appealing, liberating, and empowering, but it can likewise be exhausting. For some business people, inspiration does not perpetually flow smoothly. If you seem unambitious and indifferent, you could be on the brink of collapse. Too much pressure can weaken your enthusiasm and motivation. Severe burnout can cause subconscious and substantial health concerns ranging from clinical depression to heart conditions. Recognizing these signs, and, what you can do about them is important. If it feels like you are always working, then you should purposefully set limits. The balance between work and life isn’t just a corporate jargon. Setting up the boundaries between work and life can help counter your work burden. Set your agenda, block off specific days for your personal life, and set an auto-respond on your emails during certain hours when you need a recess. If you feel like you were all the hats, then start to delegate some of those tasks. Wealthy business owners don’t waste precious time on duties that can be assigned. Your most valuable resource is your time. If a time-consuming task or does not deliver direct value to your company, consider assigning it to another employee. This will allow you to use your time more efficiently so you can concentrate on high-value tasks. If you feel like you have no energy, make sure you are getting plenty of sleep, a well-balanced diet, and exercise as much as possible. To enhance sleep, recommendations from established national institutions range from setting bedtime routines and arranging the time for exercise. With increased rest, you will be more prolific. Using a sleep calculator can help you decide the best time to sleep and wake up based on your schedule. Feeling uninspired? Grant yourself time during the work day to mentally regroup and get motivated. To keep the entrepreneurial juices flowing, go for a walk, play a sport, or involve your team in an entertaining project. Are you working 365 days a year? Plan some time off. If your company schedule precludes you from taking time off, plan personal days off during the slow days of the week. Maintaining consistent days off will benefit you and establish a habit of not working seven days a week. Over 55% of owners work during most holidays. R&R? What’s R&R? Small business owners take fewer vacations, presenting them limited time to revive and recharge. Using vacation time has significant health advantages such as reduced risk for heart conditions and depression. Try scheduling your vacation for the same time each year, so, your clients and workers can anticipate it. Being on the brink of collapse does not make you more fruitful. The fact is that it does the exact opposite. Identify the signs and stay ahead of the curve. Making the determination to acquire funds for your company and the lender you choose to work with is essential. There are several circumstances to examine to secure the best funding choice for your company. There are several of varieties of funding to examine, and as an owner, you will want to consider the method, percentages, fees, and conditions for all lenders you examine for your financing. Since your option of financing can influence the destiny of your company, here are some resources to assist you in evaluating all your prospects. Obtaining capital to support growth is one of the greatest hurdles small business owners face today. Technology is revolutionizing the way SMB owners receive funding, forever more. Traditional Lenders tend to have lengthy application processes, increased paperwork, credit based approvals, lend large dollar amounts only, and usually require specific high-value insurance in the form of collateral. Alternative Lenders have an expeditious application process, limited paperwork, appraise your creditworthiness based on the strength of your company, fund in smaller amounts, and do not need specific collateral. You should regularly ask as many questions as you need to understand exactly how much you are paying back and how the financing product works in full. What business need am I using the funding for? How soon do I need the capital? What does my business profile look like? Is it a reputable lender? What is the application/funding process? Am I getting the funding amount needed? Is this offer a good fit to satisfy my business requirements? Does my company generate the cash flow to make the payments? What are fees correlated with the funding offered? If you are ready to look into financing to help grow your company, Lendini can answer all these questions and get you the financing you need. Call today 844-700-5363 or apply here now. A merchant cash advance implied a creatively structured lump-sum payment to a business in trade for an agreed-upon portion of future credit card and debit card sales. The phrase is now commonly used to represent a variety of small business financing alternatives identified by short-term payments (commonly under two years) and small fixed payments (typically paid each business day) as opposed to the substantial monthly payments and longer payment cycles compared with conventional bank loans. The term “merchant cash advance” abbreviated MCA may be used to represent purchases of future credit card sales receivables or short-term business advances. MCA companies grant funding to businesses in trade for a percentage of the businesses’ daily income, directly from the processor that receives and settles the credit card payments or by ACH payment. A businesses payments are drawn from customers’ debit and credit-card purchases or directly from the business checking account via an ACH payment on a daily basis until the commitment has been satisfied. Most MCA companies form alliances with credit card payment processors and then take a fixed or variable portion of a merchant’s future credit card and/or gross sales. These merchant cash advances are not loans—rather, they are a sale of a portion of the future sales. This arrangement has some benefits over the structure of a conventional loan. Most importantly, payments to the merchant cash advance company fluctuate directly with the merchant’s sales volumes, giving the customer greater versatility to control their cash flow, especially during a slow period. Advances are processed faster than a conventional loan, giving borrowers immediate access to capital. Also, because advance companies typically assign more weight to the underlying performance of a company than the owner’s scores, MCA’s offer an option to businesses that do not qualify for a traditional loan. ACH: When structured as a purchase of future receivables, the finance company receives payment information and deducts its share straight from the business’s checking account via ACH. Split: When the credit card processor automatically splits the credit card sales among the business and the MCA company per the agreed division (commonly 12% to 25%). This is the most popular and preferred method of settling funds for both the customers and MCA businesses. Lockbox: The company’s credit card sales are transferred into a bank account managed by the MCA company and then the agreed upon division is forwarded to the company business account via ACH, EFT or wire. A lockbox is the least preferred process since it results in a one-day suspension in the business collecting the incomes of their credit card sales. As of 2016, the industry was estimated to be funding at least $5 billion a year to small businesses. Can you make money running a one-person business? You own your own small business. You work only for yourself and your customers. You have complete control over your product or service, message, marketing, taxes, salary, time. But can you truly make money? A lot of people do it. According to the United States Census Bureau, the majority of all business establishments in the United States are nonemployers–businesses that are subject to federal income tax, but who have no paid employees. Most nonemployers are self-employed individuals operating a sole proprietorship or an unincorporated business. Despite the nonemployer prevalence in the U.S., these businesses have the smallest economic impact on the country, averaging less than 4 percent of all sales and receipts nationally. That’s because many of these are side-gig-type businesses, while the business owner toils away at a traditional full-time job. Yet stories of million-dollar one-person businesses are out there. Driving those successes reports Forbes, is the internet, growing at a rate that allows entrepreneurs a global marketplace from their own kitchen table. Providing expertise, value, and personal attention to customers does not take an army if you have the right product, ingenuity, tools, and reach–and technology has made that much more possible. A freelance rate of $100 an hour equals $5,000 in a 50-hour week. That translates to $20,000 a month, $240,000 a year. However, reality and deductions set in. Not all of those 50 hours are billable because as a sole proprietor, you’re also spending time completing your administrative work, paperwork, marketing, and new lead sourcing. Then consider your expenses, including supplies, subscriptions, rent, utilities, transportation–even if you work from home and keep your overhead low, there are still expenses associated with running a business. Additionally, there are federal, state, local taxes taking another chunk out of your earnings. So while you can make a living on your own, your likelihood of getting rich is low. The lure of autonomy is enough for millions to launch their own businesses, however; and it’s clear by the numbers that a lot of us are giving it a try. Provided you start with a solid idea and plan, there are ways to maximize your time, resources, and effort to also maximize your income. Automate. You might not employ people, but you can employ technology to get a lot of your work done. From automated e-mail and text responses to social media management tools and data management software, you can put automation to work for you. Naturally, finding the right automation tools requires your time (which is money), and money. But over time, your time spent on billable tasks will reward you. Stay small. This seems counterintuitive to building a business. But if you want to remain a sole proprietor, your best bet is to develop a niche and stick to it. Do one thing extraordinarily well, and be invaluable to a small number of clients. The downside, of course, is if you lose a regular, repeat client, you face potential struggle until you’ve found more work. Use social media, but focus on one or two platforms. Scaling down on your online presence may seem scary, but putting the majority of your marketing efforts into one or two platforms that best suit your operations and reach your audience means you deliver the most meaningful content to your followers. An automation tool, like Hootsuite, can help fan your message across multiple platforms, but keep your focus to one or two. Fight against isolation. If you haven’t gotten out of your fleece pajama pants in days, and the only face-to-face you’ve had is via a computer screen, you’re putting yourself in danger. Remain a part of the real world through networking and joining organizations that promote your goals. It may cut into your billable time, but balance is important. Whether your one-person gig keeps you floating, or makes you a millionaire is up to you, but also up to the economy, the market, and the ultimate whim of consumers. Does your self-owned business make money? What’s your best tip? Strength through adversity: how alternative lending is getting better. We have all heard, probably even used the phrase, “one bad apple spoils the barrel.” Alternative lenders have been on the defense of that thinking recently, since a shakeup with Lending Club this past year. that suggested a conflict of interest, the company has taken hits–both financially, and to their once-solid reputation. A peer-to-peer lender, Lending Club facilitates the borrowing of money of either an individual or business, using an online platform, from either peers or institutional investors. One of many alternative finance companies that have grown from the financial crisis of 2008, Lending Club has been a pioneer in the industry. Moreover, now they have put it on the hotspot. What he’s talking about is opportunity made available through technology. When used for good, businesses looking for capital for their operations, entrepreneurs hoping to secure cash to launch their innovative startups, even individuals looking for a financial boost in an insecure time, can access funding quickly, with little paperwork, few hoops to jump through, and without a lot (or any) collateral or even strong credit or stability in business. Shady practices, like the ones Lending Club is was under investigation for, provide greater shade on the industry as a whole, and that is not particularly fair. However, life is not fair (how many times did you hear that growing up?) and rather than let unethical actions taint the industry, there becomes an opportunity for growth. Namely, focus on transparency. However, simply re-regulating the financial reporting of alternative lending companies–closing potential loopholes–is more difficult than penning a few new guidelines; yet herein this difficulty is the real opportunity for growth. Lending Club has originated over 1.5 million loans, so meaningful analysis, says Taylor, would require “significant computing power.” And because they are originators, not lenders, they’ve used a number of different platforms to provide their services. All things are not equal, so you can imagine the time and energy and analytic know-how from the institutional investors to contribute to meaningful analysis. AltFi Data has launched AltFi Data Analytics, a tool that’s been two years in the making, to show standardized and comparable metrics for the four largest marketplace lending platforms in the UK. The good news, says Taylor, is the “developing culture of transparency.” As new architecture is being built to move forward with analytics across the industry, transparency and disclosure are less moving targets and more bulls-eyes. Lending Club might currently be a bad apple, but they have not poisoned the barrel. The industry has grown out of innovation, necessity, and good business practices. Unfortunately, like in any industry, unethical actions happen. Here are tips to find reputable lenders online.  Find a company with professionals who are willing to discuss terms and fees openly with you. If it’s difficult to talk with a live person, or your representative can’t put your terms into an understandable schedule, move on to a company who can. Additionally, don’t allow yourself to be rushed into signing an agreement. You should be free ask as many questions as you need before making your decision.  Don’t be pushed into borrowing more money than you need. Remain firm on the amount you have calculated and question a borrow who encourages you to borrow more.  Find the fine print or terms of agreement on your lender or broker’s website. You should be able to locate privacy policies and legal disclosures without having to ask for that information. Borrowing money is a necessity for any business, and traditional banks are not always to the answer to short-term, quick turnaround situations. Thus the development of the alternative lending industry, helping individuals and business owners reach the funds they need to grow their businesses. And while growing pains sometimes cast a shadow, they help industry leaders make better, more transparent products for the marketplace. Are you a small business looking for alternative lending options? Talk to the reputable professionals at Lendini, a leading provider of business cash advance, merchant cash advance, and unsecured loan services, about lending options that fit your schedule and budget. Call 844-700-LEND today.